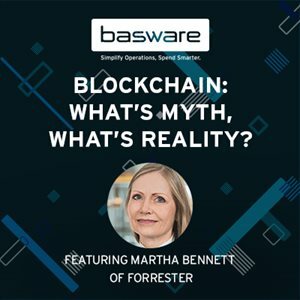 In this webinar our special guest Forrester Principal Analyst Martha Bennett reviewed blockchain technology in the context of the source-to-pay cycle. She discussed what’s really going on behind the headlines and what does it mean in the context of the finance function? What blockchain technology is – and what it isn’t. When it makes sense to consider blockchain. The key challenges that need to be addressed. The characteristics of a successful blockchain project.